In the sixth episode of The Kevin Kelly Show, the Voice of Ring of Honor speaks with Ashley Sixx and Zach Gowen to discuss their respective medical and personal issues, as well as their careers and inspirational comeback stories. Kevin also discusses WrestleMania memories, Supercard of Honor, trending issues of the day, WWE Network, Howard Finkel and much, much more. As always, Kevin takes your #AsKKevin Twitter questions as well! 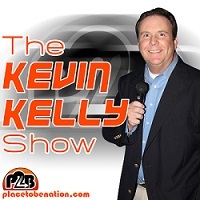 So check out episode six of the Kevin Kelly Show! The Kevin Kelly Show is available on iTunes and Stitcher by searching for Place to Be Podcast and can be downloaded and listened to below.